This topic contains 0 replies, has 1 voice, and was last updated by jw 6 months, 3 weeks ago. Join or Renew now! 2018 memberships expire on 31 December. Support the MWA with your membership now, and enable us to continue the cool things we do, such as the recent Kayak & Canoe Instructor Training, the 52nd Annual Missouri Whitewater Championship in March, our April Whitewater Clinic, our Southeast trips including Memorial Day & GAF, our annual picnic & Christmas Party, Swiftwater Rescue training events, and this website, including helping you stay in touch with your whitewater community & sell your gear. 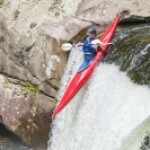 The easiest & fastest way to renew is on-line, here: https://missouriwhitewater.org/about/membership/ All your prior information should already be in the form & you just need to update it, sign & pay. Your membership will be effective immediately. The slower & more difficult way to renew is by paper, using the antiquated paper form, ironically found as an electronic file here: https://missouriwhitewater.org/wp-content/uploads/2014/02/mwaMembership.pdf Presumably you’ll be able to print the PDF form! Then just fill it out, sign it & attach your check, then mail it to the MWA PO Box. Eventually I’ll get it and enter the data in the database, and your membership will be effective several weeks from now. You may also renew your ACA membership on-line, which you can find on the ACA “Membership Renewal” page: http://www.americancanoe.org/?page=Membership_Renewal. Log-in & follow the instructions to renew. Note ACA will hound you via email as your membership gets close to expiration. Renewal is also instant if on-line. If you print stuff out, fill it in, & send it by mail to our PO Box, it will take even longer to renew, as we have to submit it to ACA with a separate check. Also, you’ll forget to sign the appropriate ACA waivers, which will require additional communication & snail mail & more delay. Could be months before your ACA membership is renewed if done manually.